We're here to mark the important moments in your family's life with a service. 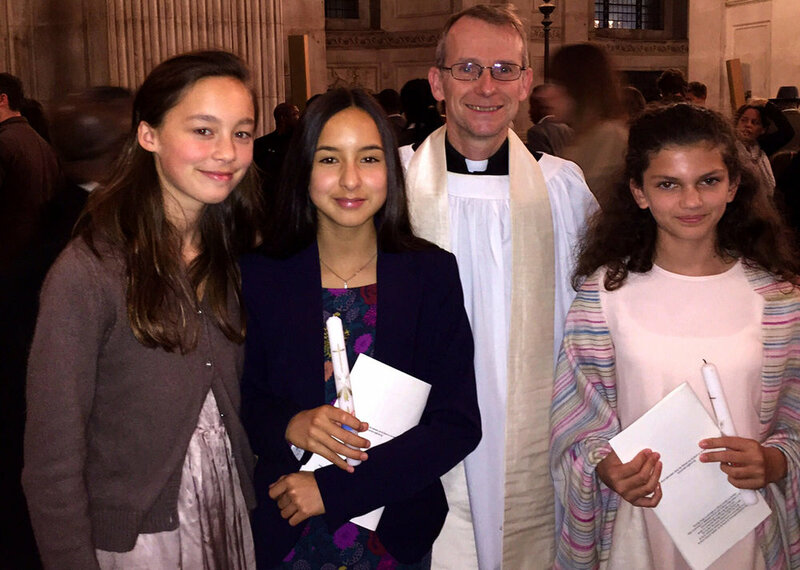 At both of our churches, St George’s in Notting Hill and St John’s in Shepherd’s Bush, we celebrate christenings, first communion, confirmation and weddings, and we conduct funerals. A Christening is about becoming a follower of Christ in his church. This can begin at any point during the course of a person’s life. In accordance with Church of England practice, anyone who lives in the parish or who is, or intends to become, a regular worshipper is welcome to be Christened. Preparation sessions are held several times a year, and the parents are expected to attend the one closest to the Christening. 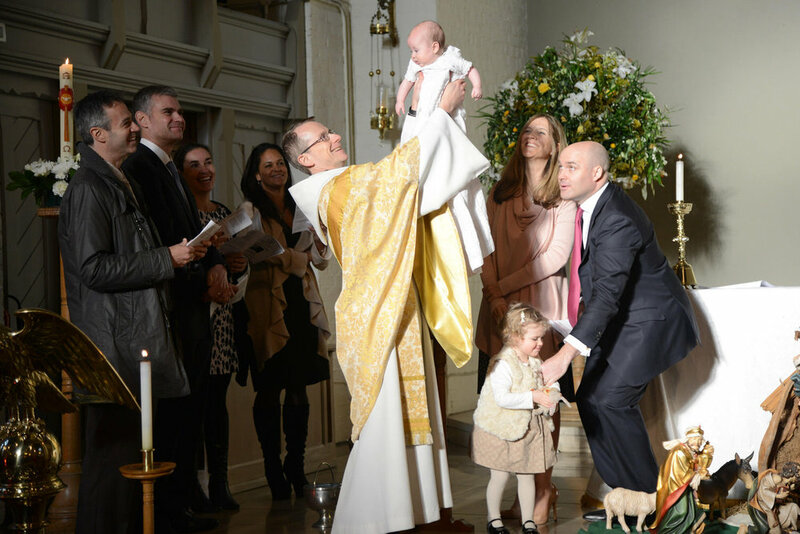 For more on Christenings, download our christening info pack. First communion is admission to the sacrament of holy communion before a child reaches the age of confirmation. This can be done at any time from the age of 7 upwards, with consent from both parent and child. First communion takes place once a year usually at the feast of Pentecost or Corpus Christi Sunday after a preparation course in which the seriousness and importance of the sacrament will be explored. What is confirmation? The meaning is in the name – it is publicly confirming or embracing promises made at your baptism. Preparation is best done in a group, and we will arrange dates based on the number of people awaiting a confirmation service. Our wedding pack has lots of information about organising your wedding, including readings, hymn suggestions, fees and music suggestions. If one or both of you have some other connection to the parish such as your parents were married here or you were baptised here. If you would like to get married at St George’s or St John the Baptist, do contact us as soon as possible, to ensure the church is free on the date you have in mind. Thank you for your enquiry. One of our team will be in contact shortly. Funerals are a very important way of marking the close of a human life on earth. Funerals are an opportunity for friends and family to express their grief, to gather up the threads of the life of the deceased, to give thanks for them and to commend them to God's keeping. As Christians, we believe that death marks not the end of life, but a new beginning as we move from earthly life to a greater life with God. If you do not belong to a particular church, after registering the death, the funeral director of your choice can tell you which parish you belong to and put you in touch with the vicar. If you want the clergy to lead the service please do not book a date at the crematorium or cemetery until you have agreed a date and time with the clergy, otherwise they may not be available. We are also happy to conduct memorial services. When someone close to you dies, arranging a funeral may not feel the easiest thing to do. We are here to help whatever pattern of service you want, be that in church, a crematorium or a burial.